Auckland Transport are crowing about a new service they plan to trial to get people to and from the Devonport ferry terminal. This is something we’ve seen mentioned in ATs board reports. Auckland Transport is seeking expressions of interest to launch a one-year trial of a ridesharing service called AT Metro Local. 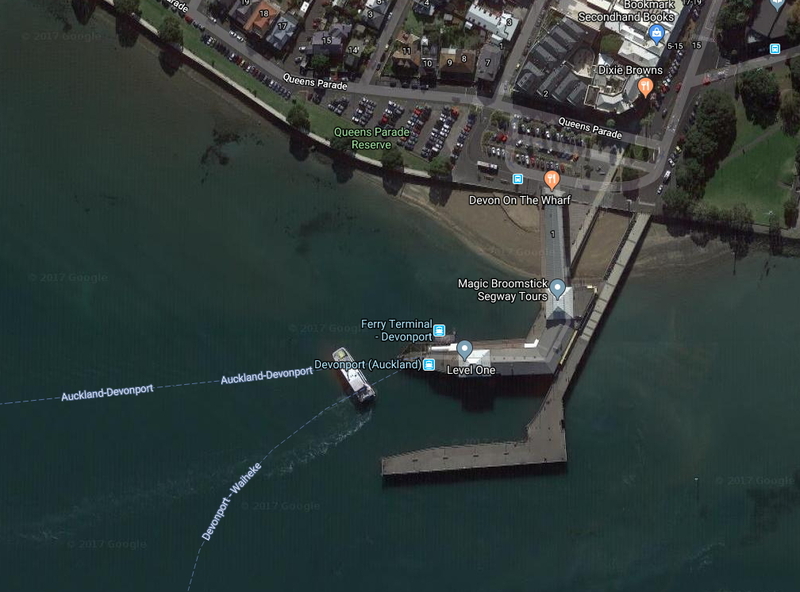 It will allow customers to use a smartphone app to schedule or call an on-demand electric vehicle to take them to and from the Devonport Ferry Terminal and their destination. This scheme aims to encourage more people to use the ferry, which will reduce congestion on the roads, as well as opening up more parking spaces at the ferry terminal. The vehicles will operate within a 3km radius of the ferry terminal, primarily in the morning and afternoon peak. AT’s Chief Transport Services Officer Mark Lambert says, “This is an exciting opportunity to try a new way of using technology to improve public transport for Aucklanders. Last year AT did a two-week trial of the service which showed that ferry passengers were enthusiastic about it and there is enough demand for it to work. Once the tender process has finished AT will announce the start date, which is expected to be mid-2018, and how much it will cost to use. I do think that ultimately, services like this could be useful in some locations around Auckland, particularly in areas with poor connectivity and options for feeder buses. But while I think it’s good that AT want to try things, I’m not convinced this particular case is a good idea or use of ATs resources. I also fear it will suffer the same fate as other trials they’ve done recently, such as the Half Moon Bay trial which was a dismal failure. Due to many of the aspects AT list, Devonport is already one of the areas with highest use of non-car modes in Auckland. Put simply, if battling Lake Rd isn’t already enough to put you off driving then there’s probably not much that will. At the last census just 56% of people in the Mt Victoria area unit, which the ferry terminal is a part of, who travelled to work did so in a car. That was down from 65% in 2006. In the neighbouring Stanley Bay area unit it was even lower at just 42%. By comparison, that number for all of Auckland was 83% in 2013, down from 85% in 2006. The reason this is important is that it means there’s likely to be a smaller potential market for new PT users compared to other areas in Auckland. Most of the potential users of this trial service are likely people who are already catching the ferry, with the only difference being it costs ratepayers more to get them to the terminal. This is similar to what’s been seen when Park n Rides are built and many of the users of it are people who were already using the station but getting there a different way, such as walking, cycling or being dropped off. We’ve long been critical of ATs almost singular focus on only improving PT at peak times. Much of the additional resource over recent years has gone to serving peak users and little regard has been given to improving off peak services, which can be achieved by using existing resources more efficiently. That focus seems to be continuing with Auckland Transport saying that the service will work primarily in the morning and afternoon peak. That’s obviously when the most demand is likely to be but is also the time when other options, such as existing feeder buses, are likely to be running. It also likely excludes a lot of potential users, such as people not working a standard 9-5, or people wanting to visit the city for shops, to see friends etc. AT list one of the goals as freeing up parking yet there is nothing to suggest this trial will do actually do that. Any person who’s currently parking at/near the terminal who switches to using the service will just be replaced by someone else. If AT really want to manage parking, and there are good reasons to such as freeing up space for those who need to use the terminal during the day when the shuttle isn’t running, then they actually need to manage it. They could start by treating it the same they do with carparks in the city, charging a fee at a level that ensures there are always a few carparks available. I’ve heard that research has already been done on the existing park n ride users and a large number of vehicles are registered to addresses even within easy walking distances. Perhaps as part of charging, AT could promise that any revenue went back to improving options for accessing the terminal by other methods. One aspect AT don’t seem to have reconciled in their hype is that parking is currently free but the shuttle will cost money to use. The incentives are all wrong and so who would really use the shuttle? Getting more use out of our PT system makes a lot of sense. In most cases, more users on services make them more efficient and delivers more revenue which goes towards reducing subsidies. All good stuff. The difference here is that the Devonport Ferry is one of the few fully commercial routes in the country and so if AT do manage to drum up some new ferry users, it’ll be Fullers that benefit from it. In addition, Devonport has the highest frequencies of all ferry services in Auckland. The 3km radius that this service will operate in would extend as far as Belmont which is closer to the Bayswater ferry. It would also be a poor outcome if existing Bayswater users diverted to using Devonport because of the presence of the shuttle. As it stands, AT doesn’t have enough money even to properly roll out the new bus network across Auckland. They have even less money to roll it out properly and has already resulted in aspects of the network being scaled back, such as reducing services on some routes to the point they no longer quality as all day frequent. Hell, we know they currently have no plans to even make the very core of the network, trains, frequent off peak and on weekends like they promised. It seems absurd that at the same time that they can’t even afford to get the basics of our PT system working properly that they’re trialling a service like this. I would be less opposed to ideas like this if we already had well developed bus, train and ferry terminals. Yet right now, most stations/terminals lack even the most basic facilities such as sufficient shelter on platforms, improved walking access or sufficient bike racks (let alone covered ones or bike lanes). I suspect that using the money this trial will ultimately cost for basic improvements across Auckland is likely to deliver much greater results. Overall it feels like AT are reaching for the shiny tech solution that they can talk about at some overseas conference while ignoring their basic responsibilities. Related to this particular case, we also recently covered the disappearing cycleway not far from the terminal. Something that will do nothing to help encourage more people to access the station by bike. Overall this ATs trial feels like the wrong thing at the wrong time. I hope to be proven wrong. Once again we provide free parking but charge for feeder access. This is completely the wrong way round. Charge both the same amount then we will see what peoples true preferences are. Also that particular set of parking spaces must be on some of the most valuable land on the north shore. It is nonsensical that it is free to park there. Don’t know how relevant that 12 year old survey is to the present situation. Some people never change their driving habits for sure. But I’m sure the present truth is a lot more complex now than it was then. For one we have integrated fares for buses and ferries, so those folks who were driving then, could now easily catch a bus, then the ferry using HOP without too much of a penalty for doing so. Of course, as long as the parking at the ferry terminal is free or priced too low, you will get free loaders. Integrated fares don’t apply to ferries. Yet anyway. Yet AT HOP card carrying ferry users get the same per-trip price as Fullers own pre-paid 10 trip ticket holders get at $4.60 each way. That pricing certainly didn’t work like this in the old days [pre-HOP], when you could only get tickets off of Fullers. So the Ferries are integrated under HOP. Not as well integrated as it should be, mind – but it is integrated. I suspect that its Fullers who in fact prevent proper integration too – as they no doubt want to protect their lucrative Inner Harbour Ferry routes from true price competition. Fullers should be no different than any other PT operator, subject to AT control and pricing. The integration applies only to the ability to make the ferry fare payment using the HOP card. The journey itself is not integrated into the pricing of a single multi-mode journey. So if you use your HOP card to get a bus to get to the ferry, then cross on the ferry, then use a bus/train on the other side, the ferry fare separates the two land journies and the full fare for each is charged as if it were a solo journey. Yet if you use a paper 10-trip ticket for the ferry component (same price as HOP) then the two land journies do not get disconnected and are charged together as part of a single trip. @toandfro I think you will find that if you use a paper ticket the two land journeys are not connected because as @Andy White says below the first land journey ends in a different zone to where the second land journey begins. For example to travel from Old Lake Rd in Narrow Neck to Newmarket the AT journey planner shows the fare as $3.15 if you do it with 3 buses but $8.30 if you do it with bus + ferry + bus . My guess is the situation is exactly the same – nothing has changed from 2006 apart from HOP but this doesn’t include integrated fares (bus + ferry + bus = 3 journeys). Also, after 8pm frequency has “improved” from hourly to half hourly. However, there is still no bus priority anywhere on the peninsula and seeing as the bus has to come from Takapuna via Lake Rd it can be 10 mins early or late. Bus frequency is never better than the ferry frequency and sometimes worse ie 15 min at peak. 30min to 1hr off peak. Don’t the two bus trips count together as a single journey with transfer in the system provided tag off on one and the tag on on the other are less than 30 minutes apart? So its not as bad as it was in the old days when you did need to buy/carry 3 separate tickets/passes. One from the bus company at each end and a separate ferry ticket/pass. Now you can manage it/put it all on the one card (HOP). And the AT HOP “casual” ferry user price is the same as you pay per trip on the Fuller 10 trip Adult ticket. You can also buy monthly passes which include All Bus/Train zones and a second one for just the ferries even if its not as cheap as it should be with zonal fares, its still progress. Monthly Inner Ferry pass on HOP or Fullers is $145 per month according to AT. [$7.25 per working day]. And if you don’t like how ferries aren’t properly integrated with AT fares, take your complaints to the last government – they’re the ones that allowed Fullers to carve out their ferries from being under AT’s control and so prevented them being properly integrated into the AT HOP system as they damn well should be. You need to use two HOP cards – one for the ferry and the other for the buses – to get you’re starting and finishing bus trips to counts as one journey. A commuter might get this organised but not a casual user. Monthly bus / train pass is $210 + inner ferry pass is $145 = $355 / month or about $17 / day. Not competitive with a car if you have free car parking and can travel outside the Lake Rd peak. Bus journey 1 would end in a different zone to bus journey 2, so they would not count as a single trip. This is why the ferries need to be integrated in the same way that bus and train journeys are. The complication is that taking a ferry to the city from Devonport may well be more time-efficient than taking a bus up the peninsula to the city, but in other locations, like from Beach Haven or Birkenhead, that is not the case, the direct bus is quicker, so taking the ferry would end up being a free joy ride. Perhaps some intermediate water based zones could handle the logic of this? Well it might work but only if AT also make the currently free parking not free (“pay and display”), when the shuttle comes in, so that some of the costs of the shuttle service can be offset by the park n riders. Who will also now have a financial incentive to pay for using the shuttle as if its priced right they may well find the shuttle is the cheaper and better option. And to ensure a good turnover of shorter term parks they should also make some of these all day parks P240 or less but still Pay and Display so that people in the inter peak times can drive down, get a park, use the ferry and be gone within 4 hours. Orakei park n ride has parks like this. Of course, any changes like this have to be enforced by Parking Officers or it will turn into a free for all bunfight. For all its shortcomings, if AT can’t make a properly integrated last mile shuttle service work practically and financially in Devonport its very unlikely to work anywhere else either as it stands. And as a very last point, this years census finally allows people who travel to work or education by Ferry, as many of these Devonport folks clearly do, to tick/select a “I travelled by Ferry” option rather than simply be lumped into the “Other” category as in the past. So it will be truly possible in the near future to get details of Deveonport residents true ferry usage down to the meshblock level. Which will be interesting and useful in itself. AT may already be planning to use that information from this census when they introduce the service to know what particular streets/areas to target first. And if they aren’t they bloody well should be. It says the shuttle has room for 4 pax that’s a small number given the congestion on Lake road and although they are using 6 shuttles I wonder if at peak time the capacity should be larger to enable more to be carried other wise some people may be left behind during the congested periods and be a bit off putting for users. I bet its going to have 4 times the occupancy rate of the average (SOV) car thats driven a few hundred metres or a few kms to, and then parked for free at the Ferry terminal all day. Given it costs tens of thousands of dollars per park and ride car park (and thats the “out in the boonies” price per park, not going to be that cheap in a premier waterfront location like Devonport), it may mean AT “saves” money with the service if they can persuade only 24 car drivers off the road each peak period over building 24 more car parks to let each one drive! The reason this trial is being held in Devonport is to pacify its wealthy residents who reflexively oppose public transport on principle. This is what the Americans call “pork”. There are a lot of rich militant old farts in Devonport who have nothing better to do than make AT’s life difficult by opposing every change that is proposed. I was chatting to one of AT’s public consultation people about it one day, that are is the one that they as individuals try to avoid being assigned to, as any public meeting has about 100 grey-haired Lisa Pragers turning up and shouting down any reasonable conversation. 100% my experience. They also hold the meetings at times when no young working person or person with a young family can attend. That guarantees the Baby Boomers are massively over represented. Anybody who turns up and has a contrary opinion is shouted down. It is a toxic, wealthy minority who are preventing progress in the area. Much like holding public parking consultations on weekends when people who work in the area aren’t there. Happens everywhere. Parking should be mainly for residents so I agree with that. Parked cars are the number one issue in Auckland. If we could eliminate on street parking we would have solved at least half the problems. Nonsense Daphne, we are desperate for frequent public transport services and integrated fares that the rest of Auckland is able to take for granted. So this is a PT sop solution proposed to pacify people who you say hate PT. But who have a proportion who drive each week day which is substantially lower than most other Auckland suburbs? Light Rail tunnel and/or bridge from Judges Bay over to Devonport. Rail can run along all the way up the peninsula towards Takapuna and beyond towards Orewa. That is just so ridiculous it barely deserves an answer. It may have sounded great when you and your mates came up with it around the bbq but it is completely unworkable from a technical and financial point of view. And how do you intend that is paid for? Will you pay a rates surcharge to cover it? The answer is priority on lake Road for buses and cycles so as to make it even more inconvenient for SOVs. The problem is too many cars. I like how the objective is “make life difficult for vehicles” as opposed to “provide a credible alternative to them”. And people wonder why the PT lobby is so easily dismissed. Or stop living in cities? City dwellers produce the least carbon. Mostly because they drive less and have smaller homes that require less heating. My wife is from Papua and I am from UK (Inverness & London). Despite spending over 60,000 years burning vegetation (keeping snakes away) I’m confident that my wife’s family over our lifetime have had a smaller carbon footprint than my own family. Building your buses, feeding the city’s pedestrians, surrounding them with concrete, steel and glass all consume massive amounts of carbon. We never had a global warming problem for the first 50,000 years of Papua being inhabited; the problem only started when my forebears entered what is now Britain as the ice retreated 10,000 years ago. I think you are talking about adopting a hunter gatherer lifestyle. Not exactly the same thing as not living in cities. People living in rural areas in first world countries consume a lot more resources per capita than the average city dweller. Actually I said “make it even more inconvenient for SOVs” – SOV = single occupancy vehicle. Cars with multiple occupants or carrying goods are not really part of the problem. I suggest the PT lobby is not easy to dismiss at all; neither the cycle lobby. Which is why those lobby groups are slowly turning the tide against auto dependency. Your preferred option of everyone driving everywhere was tried for 60 years and it didn’t work once the city got to a certain size – it is simply not scaleable. Why would we make it easy to keep doing it? Aha, and yet you replied. The problem of too many cars created by a lack of alternative options. I don’t think it’s unworkable at all, very challenging perhaps but not unworkable. Maybe the reason it only operates at peaks is so the batteries can get charged in between. I suspect you have hit the nail on the head. I agree with all this post except freeing the parking up will allow others, maybe new users, to use P&R and ferry so is in fact a slight win. Why would someone currently using the free parking opt to leave their car at home and take the paid shuttle? The parking needs to be paid in order to get the benefits you are describing. That parking is full by 7.30am. And no wonder when I pass people on Victoria Road driving to the free parking at 6.30am. That is less than 500m. This just competes with the existing bus network. I guess it will be quicker because you will have a maximum of 4 stops and you can leave when full rather than waiting for a set departure time. I wonder if it will cost more than the bus? It might help the people using the 815 bus route which disappears with the new network later this year. Great story Matt, AT again doing crazy things, this sounds like they will be setting up to compete directly with the taxi industry and uber and the rest but unlike the taxi industry are going to limit themselves to a very small catchment making it incredibly hard for their “service” to recover the costs of running it – and with 6 EVs plus at least 12 drivers those costs will be significant. Also as soon as AT start offering taxi services they will need to be licensed as a taxi operator which is a further layer of cost. Do AT think these things through and analyse all the implications or does it go straight from an idea popped out of a brainstorming session into costly implementation with no pause for further thought etc. Pleased to see you and most comment makers refer to ‘AT’ not ‘AT Metro’. The ‘Metro’ is pure public relations vanity – costing who know what to plaster on every uniform drab new livery bus. Google Dictionary defines ‘Metro’ as “an underground railway system in a city, especially Paris”. Nothing like the Anglo-Saxon obsession with French to make something sound highfaluting. an underground railway system in a city, especially Paris. an underground train, especially in Paris. In the phrase ‘AT Metro’ you have ‘metro’ as an noun or an adjective? Without the word ‘area’ it seems like an adjective. However whoever has the best English (not likely to be me; failed it at school) this is a posh fancy vanity word that costs bus passengers such as myself – OK a very small amount but it irritates (then I am the only Brit still irritated by the ‘premier league’ when ‘First Division’ is better). PS. MY google dictionary accessed via Chrome on a Win10 PC is not the same as yours – your point stands but my version doesn’t have the line with ‘train’ in it. 6 shuttles with 4 paying passengers is only 24 per round trip – hardly going to make a dent – especially if people need to pay for this (odd for a trial). How many times are they going to be able to do round trips? Probably better to have 3 x 20 seat shuttle buses going around the key streets based on where ferry users live which is too far from standard bus routes i.e. solving the walkability / time issue for customers. Would be great to see more shuttle buses on key Shore route feeding the bus stations (like East feeding Panmure). There’s already a local 779 Devonport Loop service at peak. It doesn’t serve Stanley Bay well though because it goes via Cheltenham first. This will be fixed with the new network when it is split into two. People on the west side of Lake Rd south of Belmont are not well served – the current 815 only makes 2 trips per day and will be discontinued with the new network. What is needed is bus priority on Lake Rd and carpark charging at the wharf. Hell will freeze over before the latter happens however. I wonder if AT/Council own that area of land? Surely it would be interesting to see how much that’d fetch as a piece of develop-able land! Then approach the nay-sayers with a suitable price of parking per day (say $5 per day) and I’m sure the carpark would empty out a bit. As you say, combine this with decent bus priority on Lake Rd to make them punctual and reliable, and I’m sure the feeder buses will have an increase in patronage. Looking at Auckland Council GIS about half the car park sits over “Queens Parade Reserve” and the remainder is part of the Queens Parade road reserve. Are you allowed to use (non road) reserve land for car parking? Yes, many of our reserves have car parks for the reserve. Still a bit ridiculous though. It’s a public asset that is oversubscribed and has adverse effects. Price it’s use, simple. While not the main subject of this article, it still baffles me how Fullers can operate as they do, as a public service with private pockets, while able to opt out of integrated fares. If all bus operators and the train contractor are integrated, how does a boat that forms part of the network continue to make its own rules? Is AT that gutless? Does Fullers have mafia connections? I genuinely feel for those that use the ferry combined with other modes, I imagine your first hour of work is paying for your commute, which you are heroically doing without a private motor vehicle. Such thanks we that alleviate congestion receive. Well, ahem, funny you mention the mafia. And yes, they did have Mafia connections. Connections to Steven Joyce’s “crew” of mottley all-sorts, highly irregulars, and corporate welfare hangers-on in fact. Fullers [like another one of Joyce’s “mates” – Lloyd Morrison, who happened to own Infratil which owned NZ Bus & Snapper, and got a deal over keeping Snapper in Auckland as long as it did] got a huge “free pass” from Joyce – either when he was Transport Minister, or not long after, when he wasn’t, but was telling Gerry Brownlee [who was] what he could and couldn’t do. Fullers were [and have] legally able to opt of the PTOM process by declaring their service to be fully commercial or something similar. Which means that AT can’t have anything to do with the Fullers ferries, look at their books, or bring them to heel – even if they go AWOL or racketeer. AT even getting them to accept paying for fares using AT HOP Cards was a full on nightmare as Fullers didn’t want AT to see any of “their” patronage data – as they argued AT was a [likely future] competitor so would be able to obtain unfair advantage. And once again, we see in this, as we do time and again, the political Right leaning going on and on about “The Unions” and Welfare cheats controlling the left, forgetting about the “legitimate businessmen” and “Corporate Welfare” recipients in their own ranks who are at least as guilty (if not more so) of controlling and leveraging the system for their private benefit at least as much as any cadre of Welfare cheats or full on Union controlled Collective Bargaining Site-wide Agreements were supposedly ever able to do. Fullers need to either be fully in, and controlled by PTOM, or they go ply their ferries elsewhere. Aucklands growing up now, and we don’t need this stupid half-arsed situation with someones private ferries controlling a major part of the PT environment to the degree they are. No, AT cannot legally force Fullers into the contracting model. Fullers has connections to the National Party and convinced the party to exclude them. That said, the National Party has no say any more so it’s down to Labour and co. to fix this. It would be good to see a lot more urgency and effort put in. People in Auckland City don’t know how bad it is. I work near Newmarket and if I take a bus/ferry/bus then AT charges me $16.60 for this short return trip to work and back home. My colleagues at work from places like Avondale, Onehunga and Glen Innes are all charged $3.70 for the same trip to work and back. It needs fixing and the time for excuses, and blaming Steven Joyce, has passed. The contracts signed while National were in power can’t just be ripped up. It would take specific legislation to change this situation. Even worse is that Fullers have been given an exclusive lease over the Devonport wharf. So a competitor can’t even set up in competition. Devonport desperately needs 15 min frequencies from 7am to 7pm but Fullers are not interested. Why would they be when they can run the cut rate service they do for maximum profit and us poor sucker commuters have no alternative. Socialism and monopolies for the rich, capitalism and competition for everyone else. Welcome to the neolib paradise. How long does 3km take to cycle? Isn’t there an official strategy for providing better bike and walk to transit options? That seems a more valuable ‘trial’ to take up. My 6 km commute (admittedly mostly downhill) takes 10 minutes by e-bike. It was previously only 13 minutes by ordinary bike though. So I would say a 3km bike is 5-10 minutes max. It therefore strongly concerns me when AT says that their trial established that there was “enough demand” for it – what the hell does that mean? The really surprising thing about this initiative is that this is their big, bold near opening to 2018. Moving 24 passengers maximum. In my view its an organisation almost totally bereft of ideas! I think this is a path of least resistance. They have lots of ideas and they know what the solutions are – PT and cycling. I have sat in a room with senior people who acknowledge that. However, implementing those solutions often involves removing free parking for residents. When that is proposed it turns into a massive bun fight with entitled residents who think that space maintained with public money should be their’s to use for free. The conflict in Auckland isn’t between car drivers and cyclists. It is between parked cars and everyone else. Used the Onzo bikes at the weekend to get from Ferry terminal to North Head. 50c round trip. If I lived in Devonport I’d take one home at night and ride it in in the morning. No bike ownership hassles, no maintenance or theft hassles. Door to Ferry service on demand. Thanks for the info. I’ll give it a go when I’m next in Devonport. Is it OK to take them on the ferry? You can but there’s always some at the Devonport wharf or by the library across the road from the wharf. Hopefully this trial will show where there are gaps in the bus service but it does not address the question of why people who live nearby use their cars to get to the ferry? Are they late? Do they wish to pick up groceries on the way home? It does not make sense to leave your car exposed to the salt spray of the Devonport foreshore where the accelerated depreciation would exceed any parking charge. Already you see a number of e-devices used by commuters on the ferry. E skateboards, scooters, unicycles etc. but there are no storage lockers for them should they not be required at the other end of the ferry crossing. Devonport is a good place to figure out what these first/last mile devices could be besides bikes or cars. There is no through traffic and the suburb was laid out before cars were common. Do you really want to use an expensive one ton device just to carry that box of beer of bag of potatoes home? 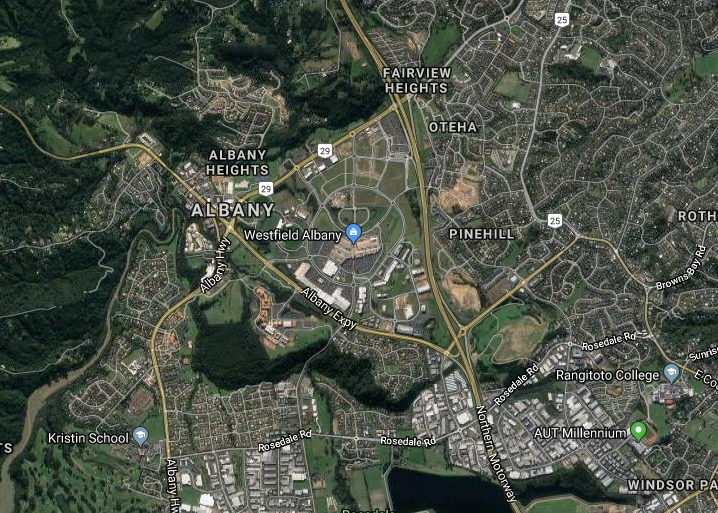 If you look at Google’s current satellite picture, the car parks near Devonport ferry are chock full, while there is plenty of capacity evident at the Bayswater ferry (especially in the private Marina area). Seems to me that the Bayswater ferry service could be used more, especially if its frequency/hours were lifted. I’d guess Old Lake Rd is roughly half way between them – I don’t know what share of Devonport ferry users come from north of there but they would find Bayswater closer, and it is a marginally quicker crossing too. Also, could the Navy run their own water shuttle service from Bayswater marina down to one of their own wharves on Base, and ask all Navy commuters (especially the ones living on the Bayswater peninsula) to use that rather than drive to work? Is that feasible? All Navy housing is being phased so soon almost all personnel will move off the Peninsula making it even worse. I believe the answer is for the Navy to move to Marsden. Bayswater frequency is rubbish plus it’s is in the middle of no where – you HAVE to catch the bus or drive. And the terminal is awful apparently. If it is such a worry move to the country side! And do what for work? There are no jobs in rural NZ. I have looked.